Sensual and desirable fragrance of white tuberose, orchid and ylang ylang, with undertones of oak, tobacco, vetiver and leather, entwined with delicate notes of vanilla, caramel and musk. Memoize London are here and now, inspired by past thoughts, memories and emotions, but have full foothold in the present and a vision for the future. 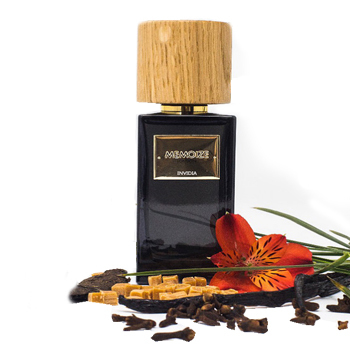 Memoize London brings true mental connectivity to the world of perfume. They create fragrances that inspire minds and stimulate thought and emotion. Each scent is crafted by a fusion of the world’s leading perfume artists - resulting in an individual, original composition.